Cambridge English Empower is a six-level British English Adult course that offers a unique mix of engaging classroom materials, validated assessment, and personalized practice to enable learners to make consistent and measurable progress. 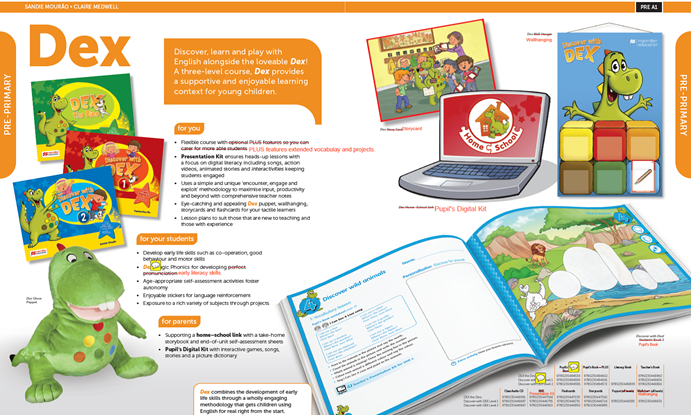 Dex is a three-level course for teaching English at pre-primary level, offering a range of highly integrated components that provide pupils with home and school practice. Teaching is supported with storycards, vocabulary flashcards and wallhanging, audio and song CDs, nursery rhyme videos, storytelling videos, a puppet, and a bank of fun learning games. 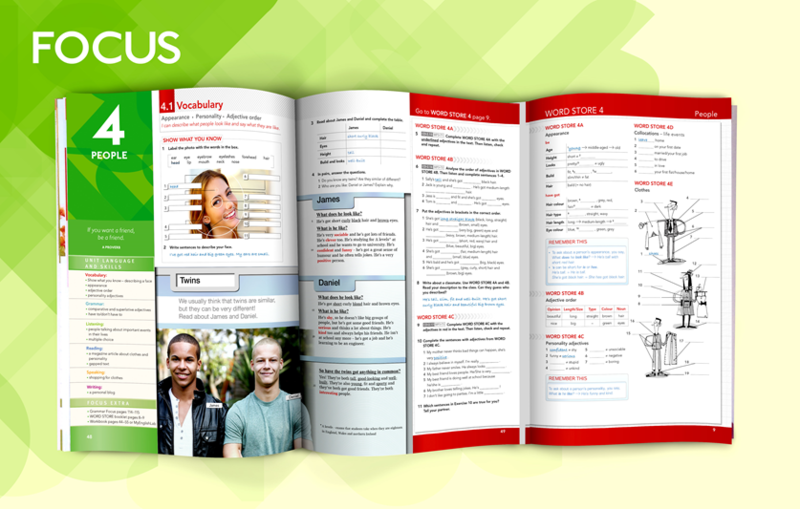 Focus is a blended 5-level English course for upper secondary students. It includes, The Word Store, a print innovation that embeds vocabulary practice into each lesson. It serves as a reference point and enables learners to create a personal vocabulary record as they work through each unit of the book. Impact is a four-level series that helps teenage learners to better understand themselves, each other, and the world they live in. Impact features real-world content, stunning photographs and video from authentic sources, and inspiring stories from National Geographic Explorers. 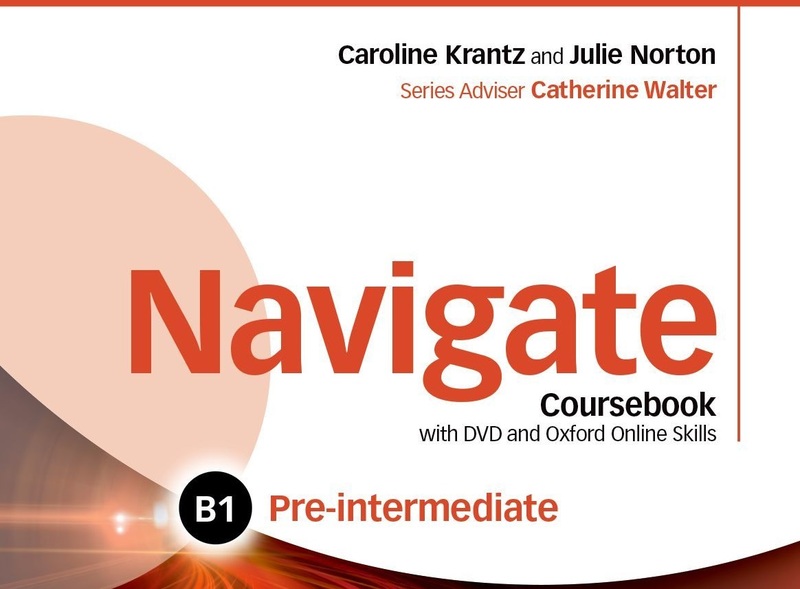 Navigate is a six-level General English course tailored exclusively to adults. The course takes an innovative approach to reading and listening based on academic research as to how adults best learn languages. 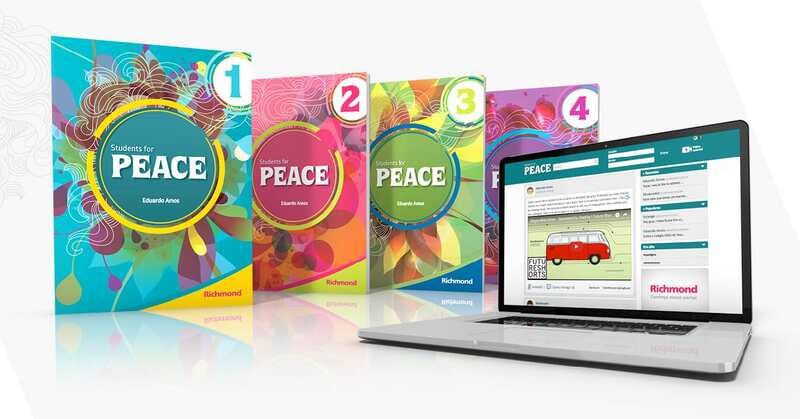 Students for Peace is a four-level English series for secondary school students, which aims to simultaneously teach English and provide learners with social skills focused on an education for peace and tolerance.